Jerry Govatsos is a founding principal member of Financial Compass Group, LLC and a former high school English teacher. Jerry's love of teaching others combined with his strong desire to make a difference in the lives of his clients has culminated in more than 40 years' experience building prudent planning strategies that have saved many businesses and families from suffering devasting financial loss. Jerry works extensively in the areas of life, disability and long term care insurance for individuals, families as well as group benefits, succession and tax-planning strategies for business owners. His honesty, industry insights and connections to centers of influence across myriad of industries has helped Jerry consult numerous generations of clients and their successors. These long-term relationships have given him inside knowledge of each client's family dynamic which enables him to better protect and preserve their assets and business viability through proper comprehensive planning. Jerry is instrumental in bringing the right legal and financial professionals together to make sure that complex estate and business plans are not just discussed and outlined but that they are implemented promptly and correctly. Jerry naturally takes on the role of care-taker in escorting client through the challenging process. 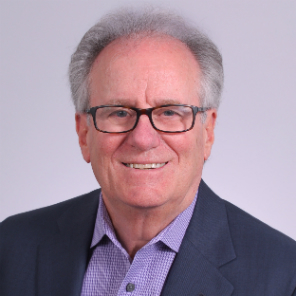 As an individual of integrity and compassion, Jerry also has personal causes that he actively supports, such as the MINDlink foundation which seeks treatments and cures for individuals and families affected by neurodegenerative diseases. On the home front, Jerry can proudly be found on the weekends with his daughters and grandchildren at the family compound located in Cape Cod, affectionately called "Ground Zero."